Most folks work outside of the home each day, which is bad news for family pets. For added peace of mind, consider buying an automatic pet feeder. Whether you have one pet or many, you’ll find the automatic pet feeder that’s right for you and your furry friends on our list. Type of food: Wet and dry. The Wireless Whiskers AutoDiet Feeder sets food allowances for up to eight pets, thereby managing their diets. Gone are the days when one pet eats more than the others. With Wireless Whiskers, eat pet is assigned a feed amount, thereby guaranteeing fair share (and weight management). It also alerts you when a pet is under eating, which could be a sign that something is wrong. Wireless Whiskers uses a tag system to identify which pets are near the feeder. It’s intended for cats and small dogs up to 18 inches tall. Type of food: Dry only. The SureFeed Microchip (Amazon: US, CA, UK) is similar to the Wireless Whiskers AutoDiet Feeder as it manages the amount of food your pets eat. SureFlap RFID collar tags identify each pet in your household. It’s also compatible with all identification microchips worldwide. The Surefeed Microchip stores up to 32 pet identities in memory and remembers all registered pets even when removing the batteries. Powered by: Four C batteries. 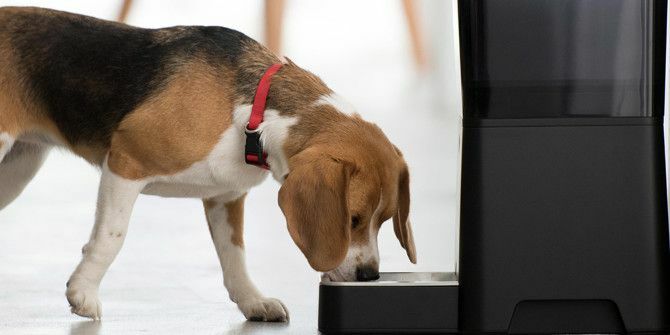 Meanwhile, the PetNet Smart Feeder (CA, UK) also automatically manages feed times, portion sizes, and food supply for dog and cats up to 50 pounds in weight. The SmartFeeder measures food portions based on your pet’s age, weight, and level of activity. The free PetNet app allows you to schedule feedings remotely, plus monitor whether feedings have occurred. The app also offers dietary suggestions based on individual pet needs. Powered by: A choice of power cord or battery. The Lusmo Automatic Pet Feeder (CA, UK) is noted for its ease of use. There are only three buttons to operate. You can program the feeder to dispense food three times in a 24-hour period. This schedule repeats daily, although you can easily change this with a one button push. Featuring one of the cutest designs around, the Lusmo Automatic Pet Feeder is for small cats and dog. The Aspen Le Bistro Portion-Control Automatic Pet Feeder (CA, UK) is the least expensive product on our list. 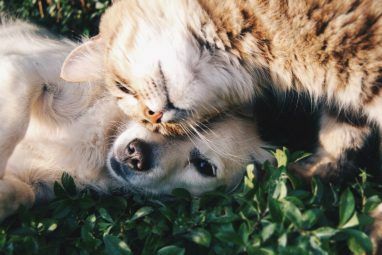 You can schedule up to three meals per day The Best 13 Online Pet Shops for Your Furry Friends The Best 13 Online Pet Shops for Your Furry Friends From sporting goods to household needs to clothing and accessories, we shop for online deals daily. Buying pet supplies should be no different. Here are the best online pet shops that offer savings. Read More , with portion sizes up to three cups per meal. It comes in two dry food storage sizes, five pounds, and 10 pounds. The iCPooch (CA), featured on ABC’s Shark Tank, provides “interactive care for dogs” (although it also works for cats). It’s a pet treat dispenser and computer all in one. You can communicate with your pet remotely and then deliver a treat through an app or online. By adding a tablet, and you can have a two-way video chat with your furry friend. The iCPooch is compatible with cookie style treats or kibble type treats for small dogs and cats. The Petzi Treat Cam (CA, UK) is similar to iCPooch, except that your pet can only hear you on their end. 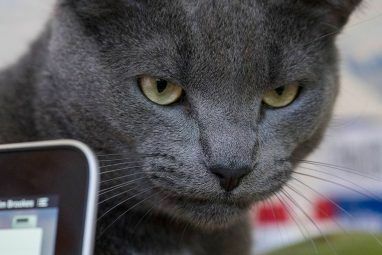 Besides offering remote feed scheduling, the Petzi Treat Cam focuses on the social aspects of owning a pet The 6 Cutest Sites with Silly Pet Pics and LOL Pets The 6 Cutest Sites with Silly Pet Pics and LOL Pets Read More . With an app, you can snap photos remotely to share with other users on the Petzi network. You can also browse by new arrivals, or search by “just dogs,” “just cats,” or “by breed”. And yes, you can still reward Fido when he’s being a good boy. We continue to be impressed Become a Smarter Pet Owner With These Gadgets Become a Smarter Pet Owner With These Gadgets Have you heard of an intelligent fish aquarium or a robot-like companion for your dog? These are examples of smart products you can buy and use in your pet-friendly home. Read More with CleverPet ($299), a smart home device launching later this year that engages dogs throughout the day using puzzles made with sounds, lights, and touchpads. A CleverPet app allows you to download new games to the Hub. You can also use it to monitor your dog’s progress throughout the day. The app also lets you remotely schedule when the CleverPet is operational, or you can leave it on all day. The device disengages once it disperses your dog’s daily allotment of food. Your pet only eats the amount of food you have served. There are a lot of different kinds of smart home devices for pets, including trackers How to Track Your Pets Using iOS or Android How to Track Your Pets Using iOS or Android For many, a pet is an integral part of the family. When they go missing, lives are disrupted. 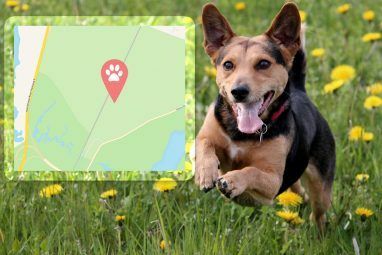 Pet trackers make finding man’s best friend easy and carefree. Read More , interactive cameras, The 6 Cutest Sites with Silly Pet Pics and LOL Pets The 6 Cutest Sites with Silly Pet Pics and LOL Pets Read More play toys Pamper Your Pets with These Arduino-Powered Projects Pamper Your Pets with These Arduino-Powered Projects If you're a pet owner like me, you probably do two things on a regular basis: spoil your pet, and think about how to optimize the process of spoiling your pet. Read More , and yes, automatic feeders. Each of these offers features unique to type, size, and numbers of pets. Find the one that’s right for your situation. By doing so, you can make a happy pet even more so. What type of automatic pet feeder do you use? Leave your comments below. Amazon Music Is Now Free for Amazon Echo OwnersAre Robotic Lawn Mowers Safe to Use?